The theme of this game as its name implies is based in ancient building which holds some serious valuable treasures. Gold gems, diamonds and gold coins are everywhere in this game. Everything about this game shines and glitzes with gold, so you can understand why travellers around the globe are trying to dig in deeper in the Treasure Room! You will appreciate the fact that it’s background sound effects aren’t too distracting which keeps you focused even more to find your way into the treasure room and exploring different bonuses that this game has to offer. In fact you will find that the sound of the sizzling flames from the torches hanging on the walls is quite smooth and puts you more into the mood of this great adventure in finding the hidden treasures. 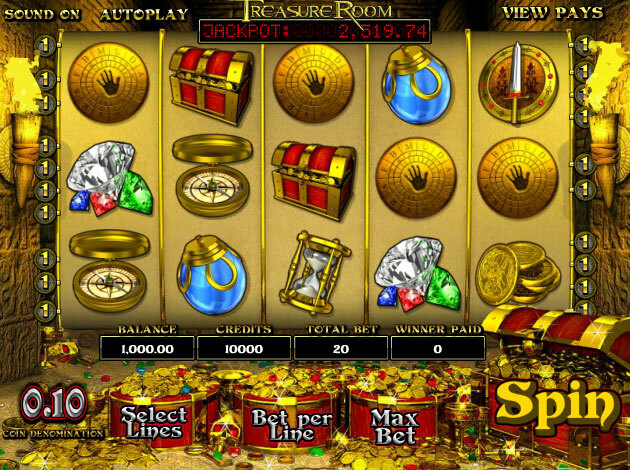 The Treasure Room is a five reel, three row, and twenty payline progressive slot game. 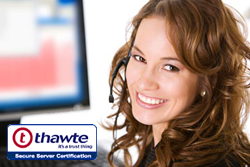 The objective of the game is to match symbols adjacent from either edge on any active payline unless otherwise indicated. You first need to choose the value of the coin you wish to wager in each bet, then select the number of lines that you wish to play on. Then you need to select the number of bet per line you wish to play with. The Wild symbol is the golden compass icon. This icon substitutes all icons except the bonus feature, scatter and the jackpot icons. Whereas the jackpot symbol is the image of the treasure chest icon. Get five of these icons in a row on an active payline when betting max, and be awarded with the Progressive Jackpot! The bonus feature symbol is the gold icon with a hand print in the middle of it. When you land on three scattered bonus features icons you will get to a second screen and start the Treasure Room bonus feature. Click on one of the three golden door symbols to reveal a precious treasure! You have explored much traveller, now three doors remain between you and a certain wealth. You will continue clicking on each remaining door until you have revealed all of the hidden prizes. Once you have opened all three doors, you will get awarded the accumulated points earned from each the three doors, and will be instantly added to your balance in the game. Once the bonus round ends, you will return to the main screen of the game to continue playing. Three or more sword and shield icons on an active payline in any position unlock the sword and shield instant on-reel bonus feature. Wins are multiplied with bet per line and number of lines where the bonus combination appears. When this combination appears, each icon shown on active payline will display “click me” across the sword and shield icons. You will need to pick one of the available icons to reveal the hidden credits anywhere between one hundred and twenty five credits up to five thousand credits instantly. So, choose wisely, as this bonus can be quite lucrative and you may only choose one. Scatter icons pay on any reel in any position. Treasure Room is a great video slot game that surrounds all of the trappings that a classic treasure hunter would be expecting to find.